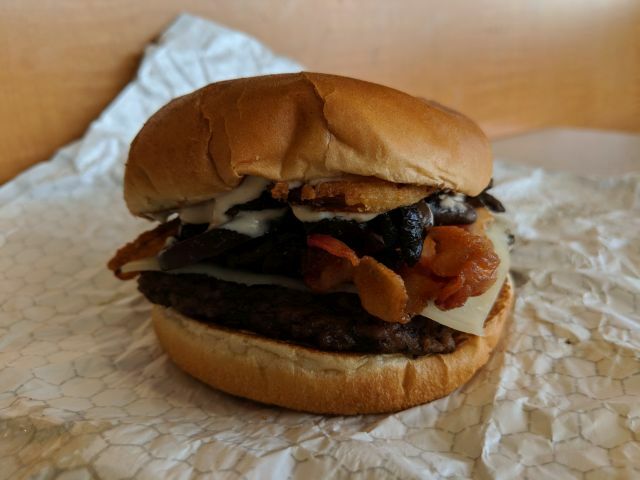 Wendy's Smoky Mushroom Bacon Cheeseburger features a quarter-pound beef patty, sauteed smoky portabella mushrooms, smoky mushroom aioli, crispy-fried onions, Asiago cheese, and three strips of applewood-smoked bacon on a toasted bakery bun. I paid $5.29 for one. If you love mushrooms, there's much to like with the Smoky Mushroom Bacon Cheeseburger. The mushroom on my particular burger were plentiful and chock full of mushroom-y flavor. I didn't detect any smokiness to them though. The sauce also added a dose of mushroom goodness as well as a creamy tanginess but also lacked in the smoke department (although they were notably blackened). The cheese joined with a stronger creamy component. The only smokiness in the sandwich came from the crispy bacon, while the onions contributed some crispiness plus a charred note. 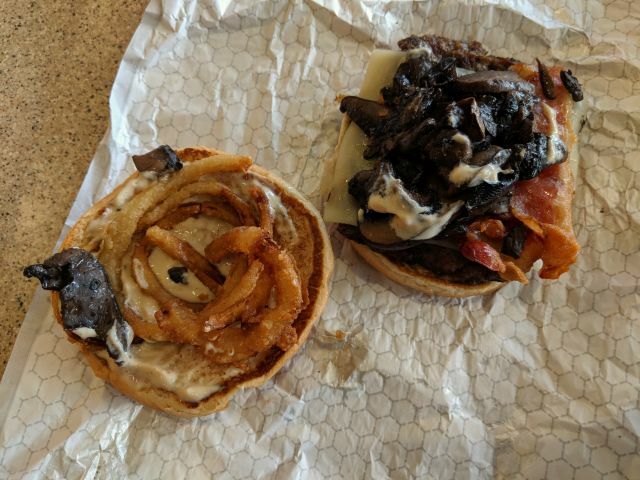 The onions were especially refreshing as I can't remember another time that they found their way into a Wendy's burger. The beef patty was juicy with an enjoyable coarse grind that sets it apart from major competitors like McDonald's and Burger King. The bakery bun was light and very soft but perhaps overly so. The way it compacted as I was eating lent a feeling that there was very little to separate my fingers from the burger's fillings. 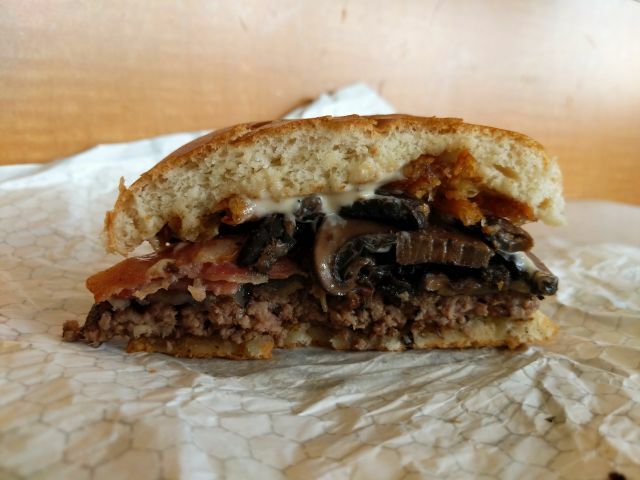 Taken altogether, Wendy's Smoky Mushroom Bacon Cheeseburger felt like a really nice update of the Bacon Portabella Melt.